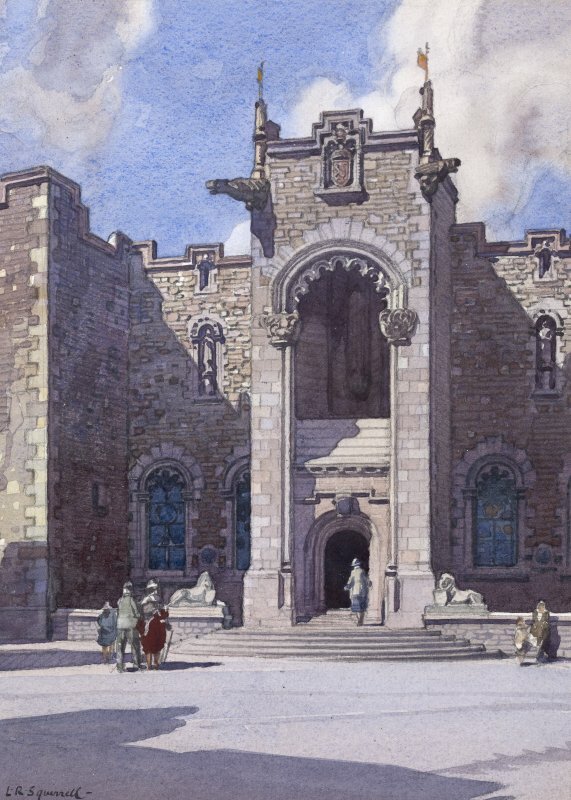 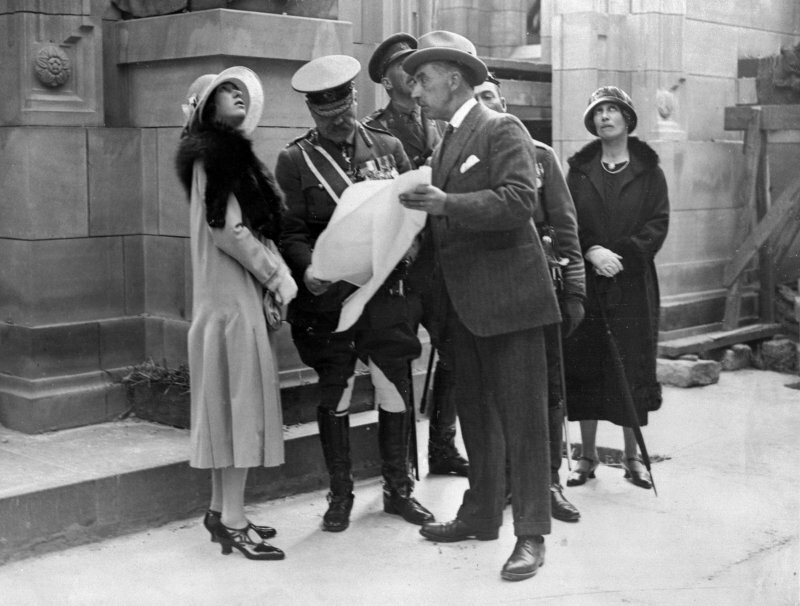 Built between 1924-7, The Scottish National War Memorial at Edinburgh Castle was designed by Sir Robert Lorimer. 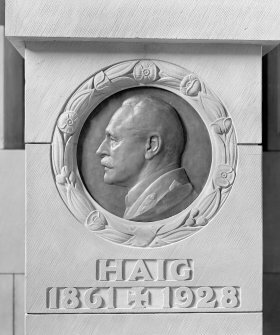 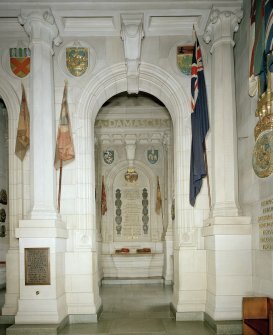 He reused part of an old barrack block to create a memorial comprising three elements: a hall of honours, a national shrine, and a roll of honour. 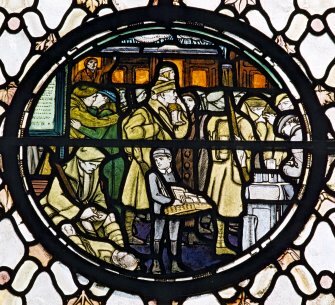 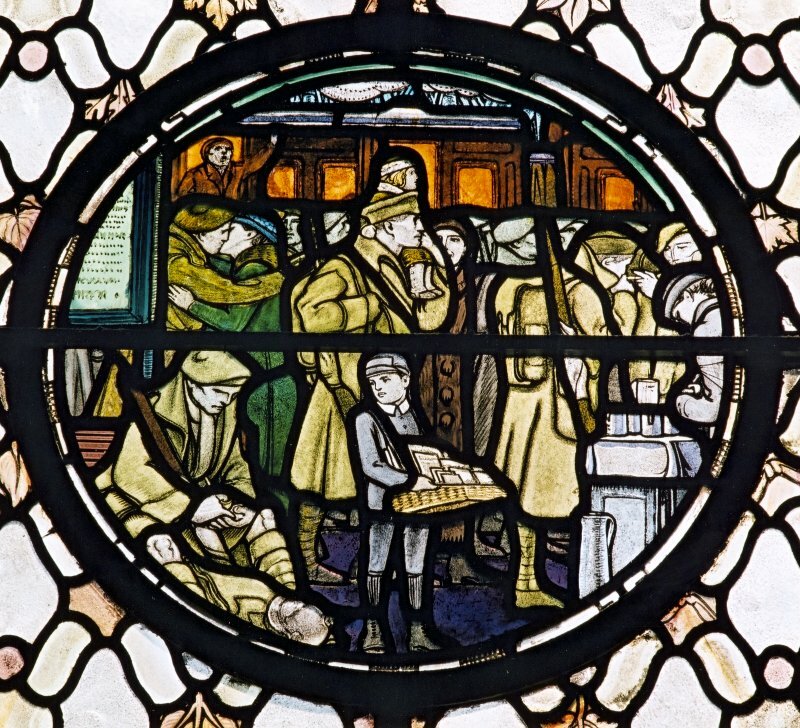 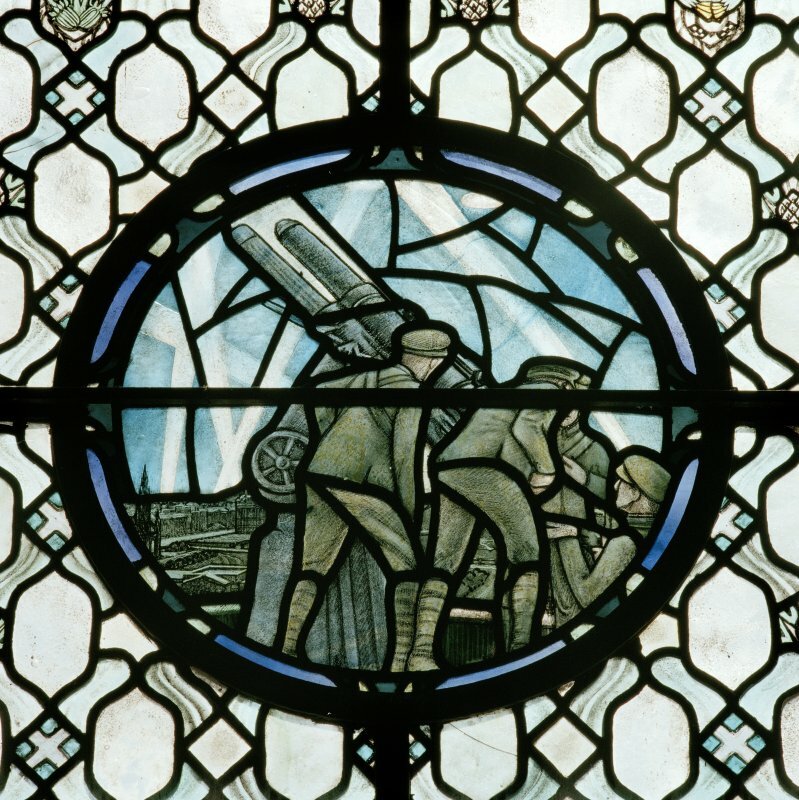 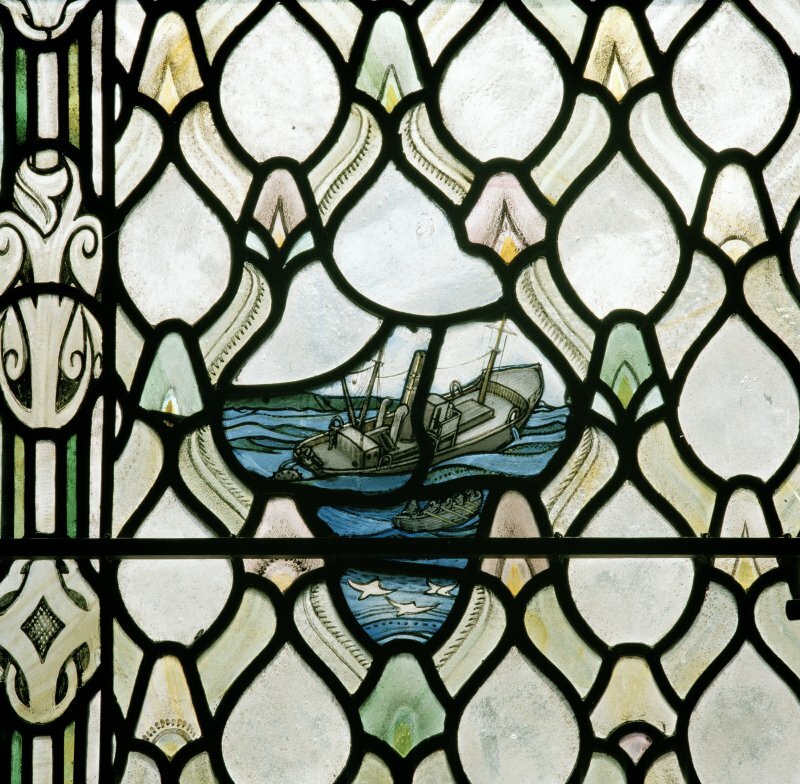 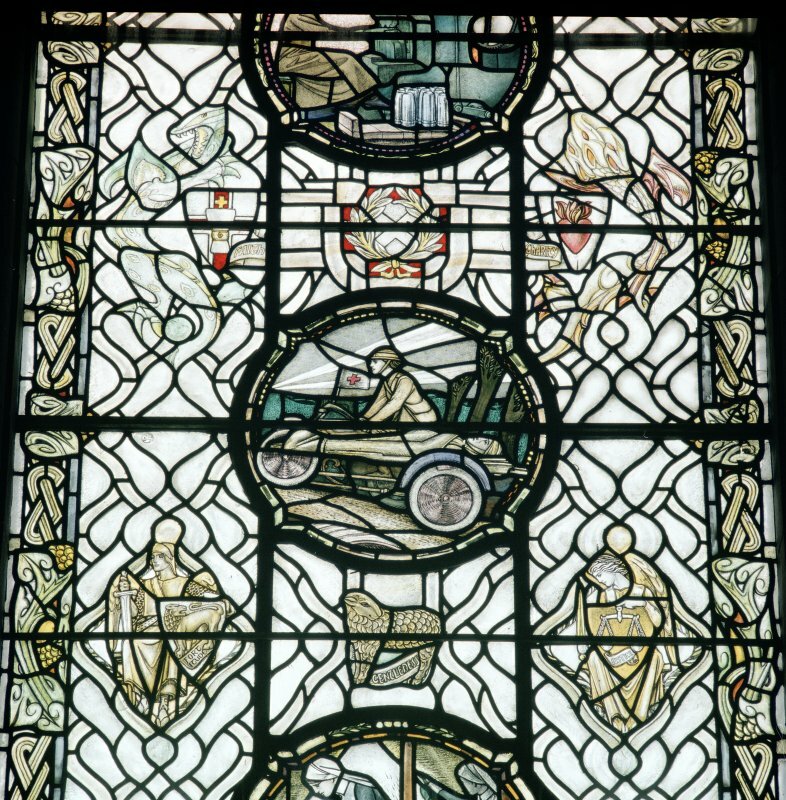 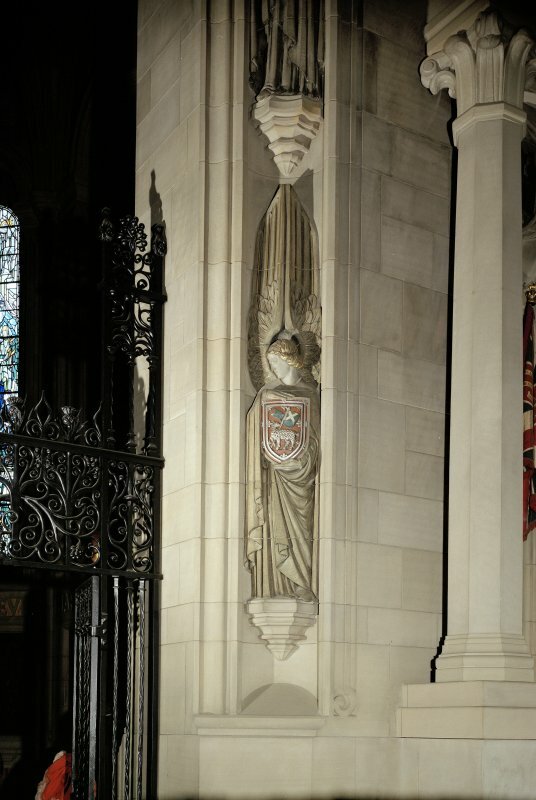 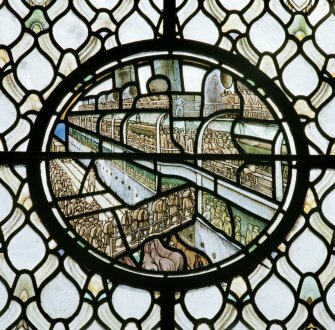 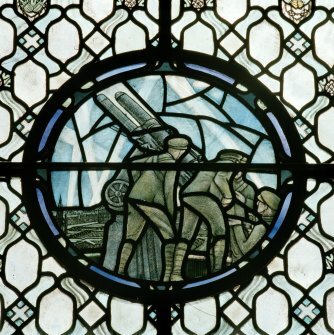 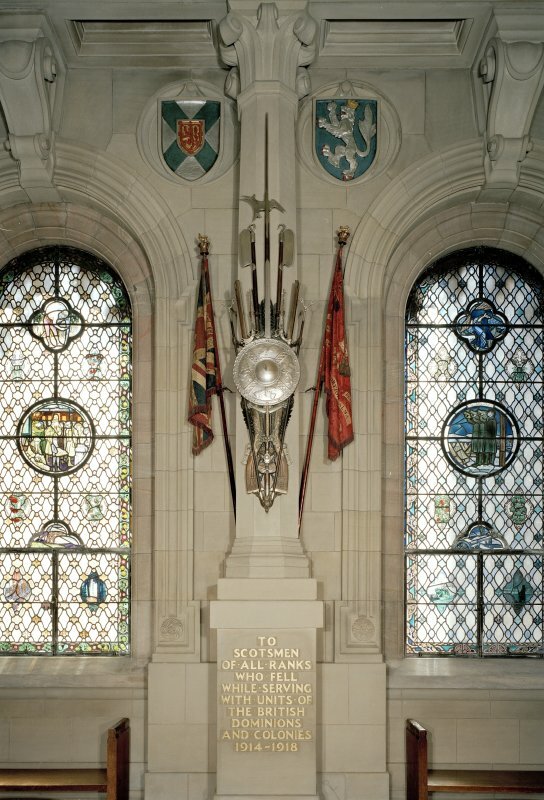 A number of craftsmen and women were commissioned to produce sculpture and stained glass for the memorial, which is regarded as one of Scotland's most important buildings. 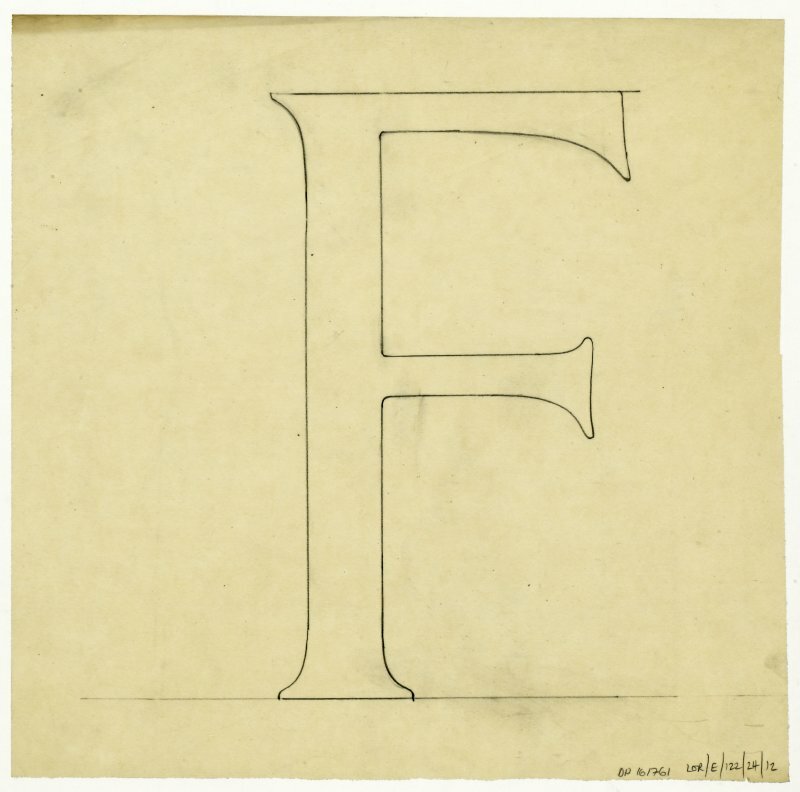 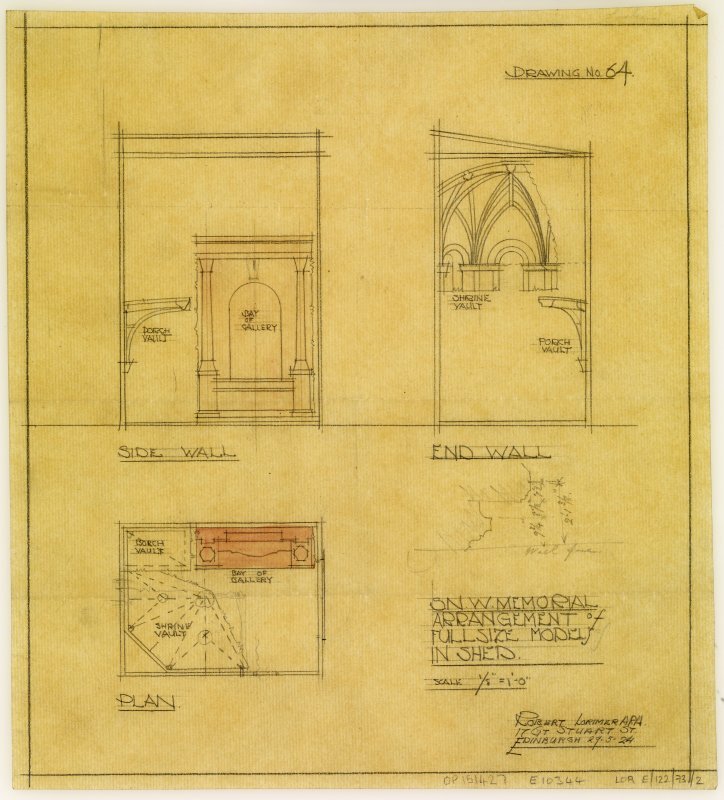 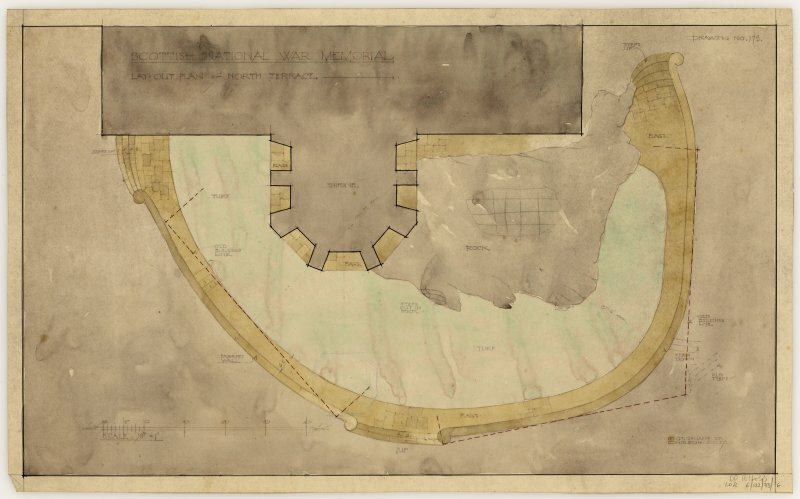 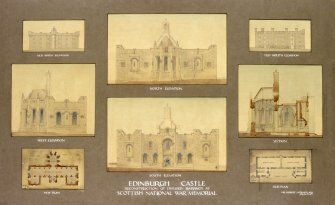 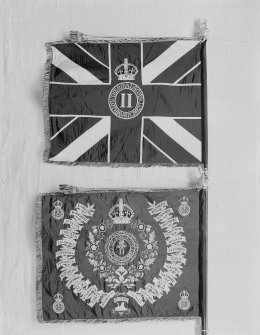 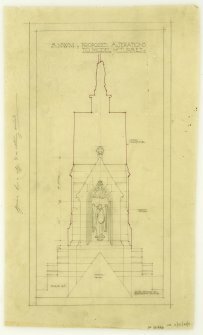 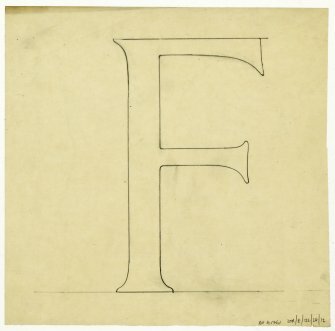 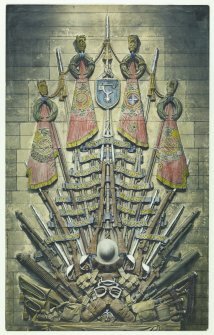 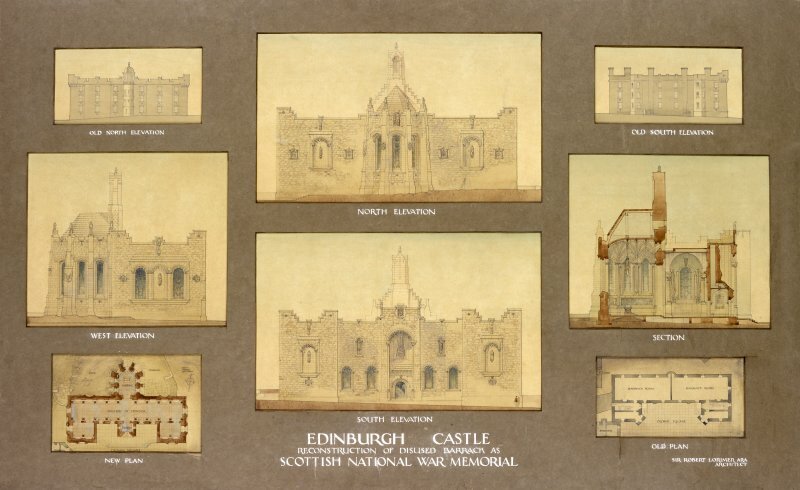 The HES Archive holds a wealth of material relating to the Scottish National War Memorial including documents, models, historic photographs, original drawings and sketches by Lorimer. 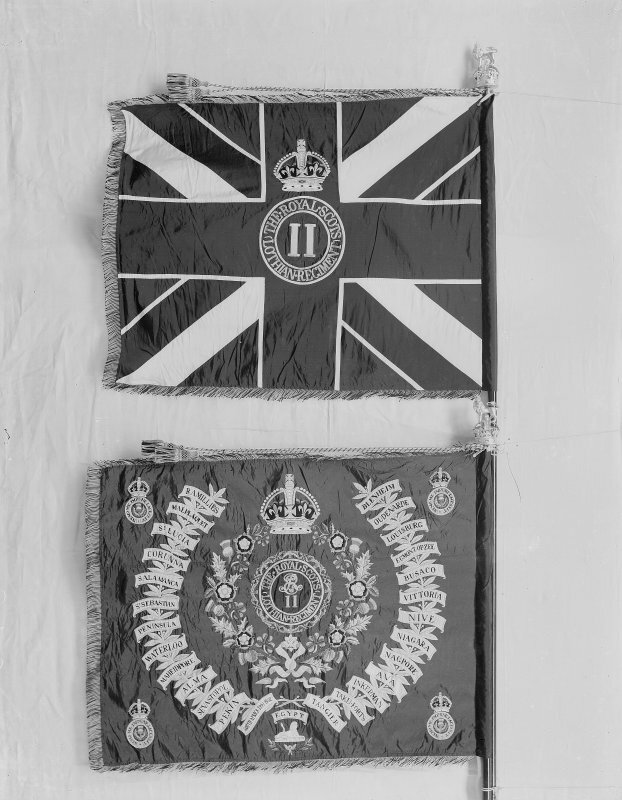 The archive can be consulted in our Search Room and through Canmore. 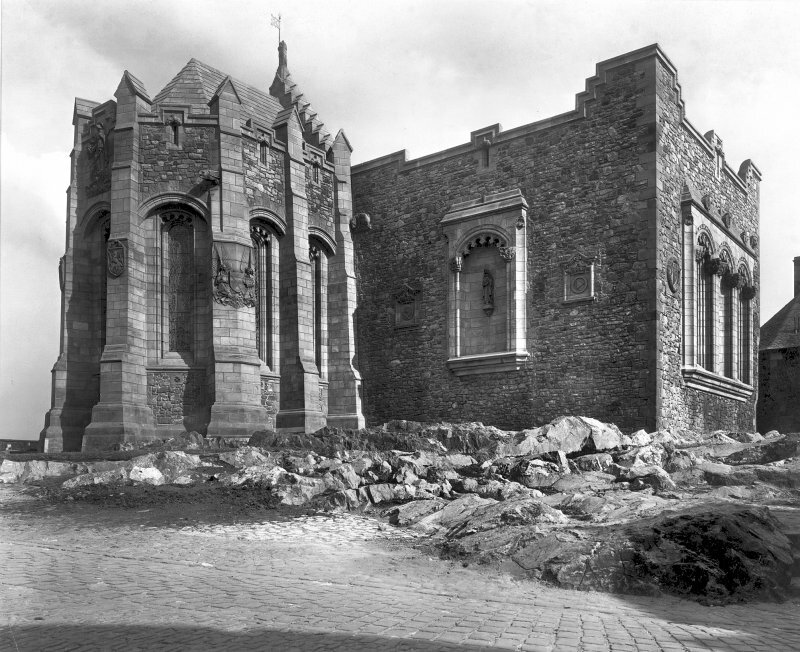 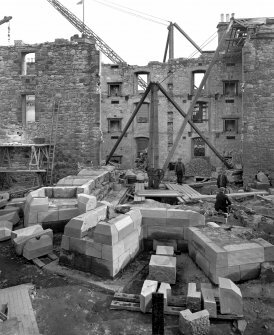 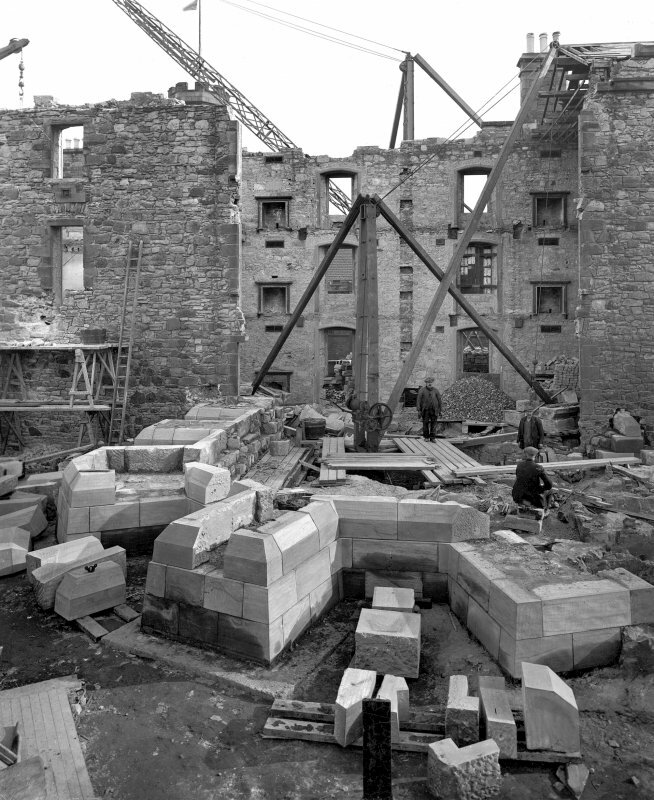 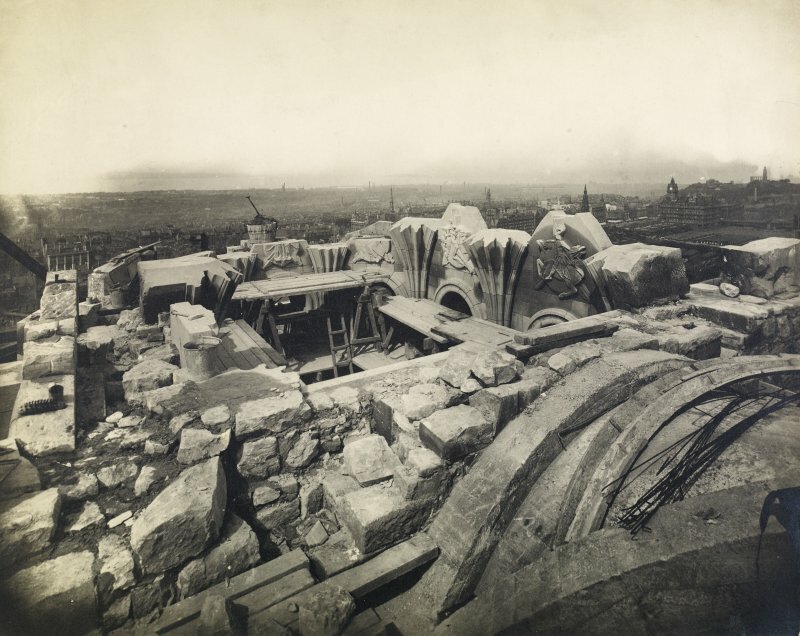 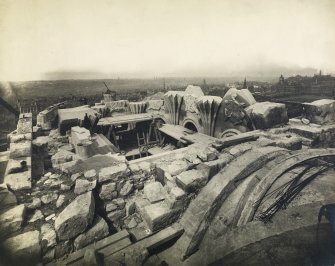 View of the Scottish National War Memorial, Edinburgh, showing north facade and shrine during reconstruction. 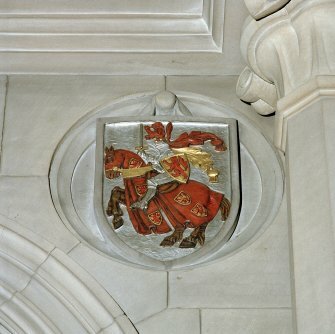 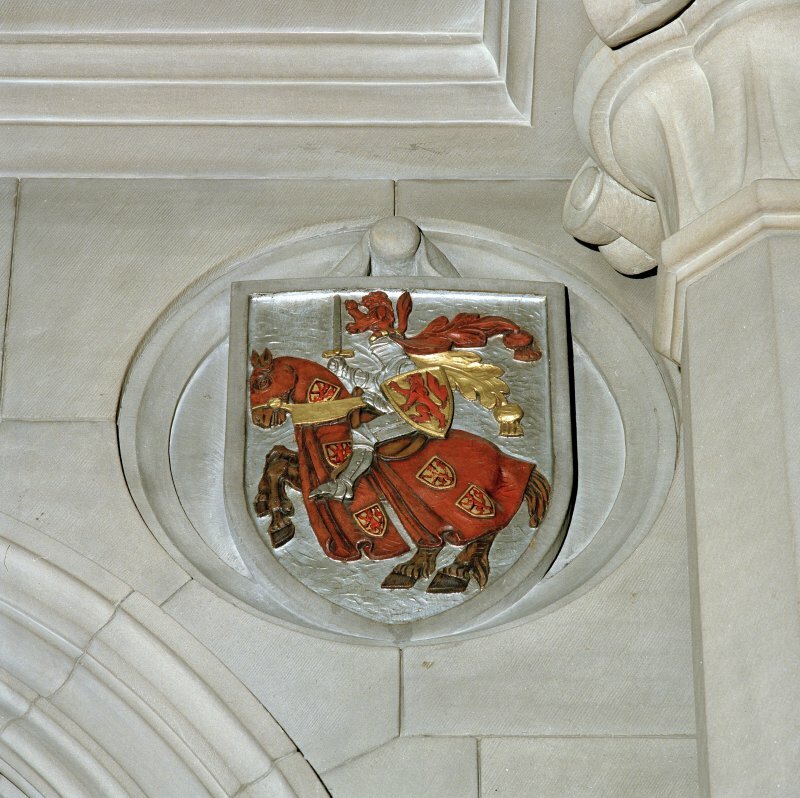 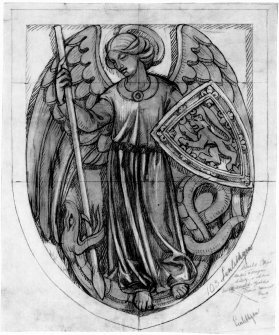 Design for Linlithgow county shield in gallery, Scottish National War Memorial, Edinburgh. 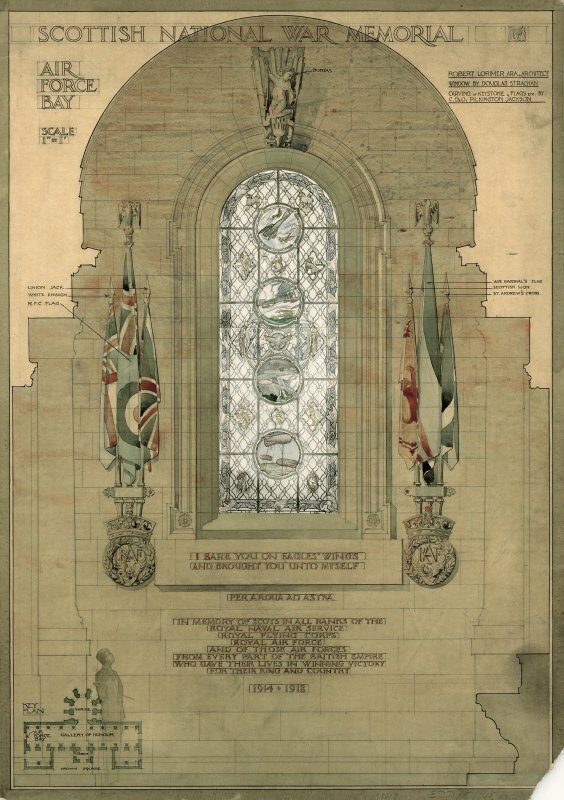 Digital copy of a carved and painted wood model of the proposed Shrine, Scottish National War Memorial. 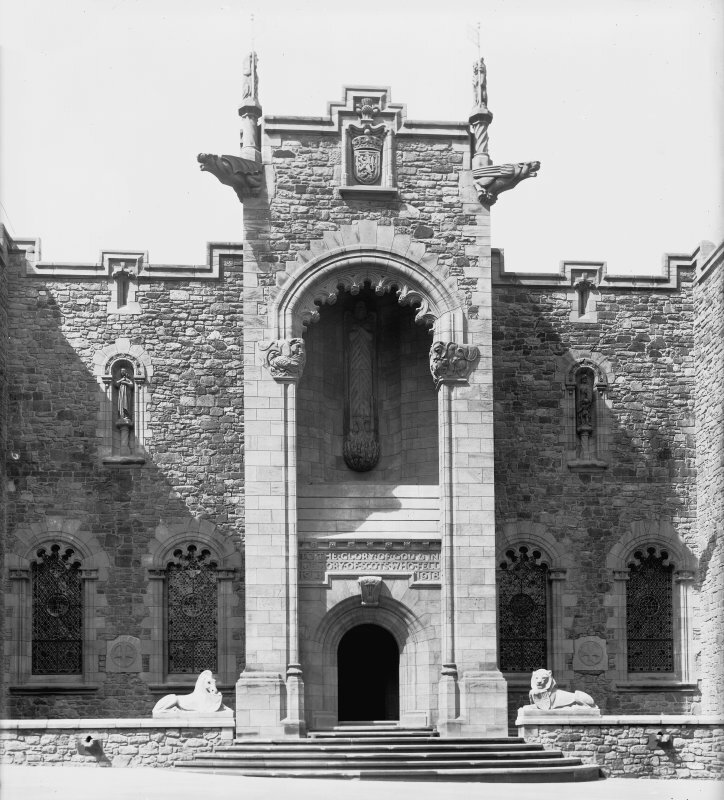 View of the exterior. 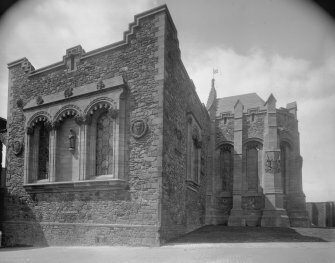 North elevation. 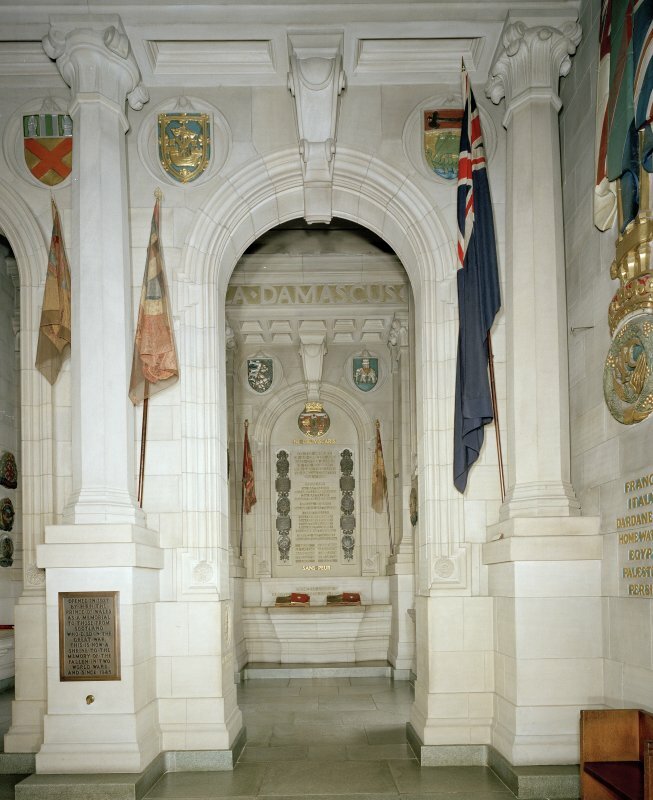 Captioned "Edinburgh Castle reconstruction of disused barracks as Scottish National War Memorial"
View through to shrine from Hall of Honour, Scottish National War Memorial. General view of entrance front to the Scottish National War Memorial. 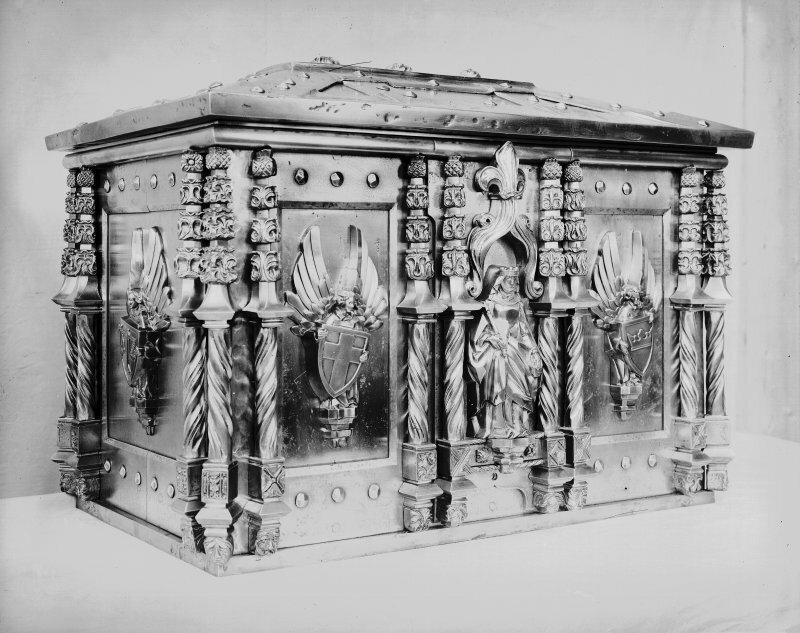 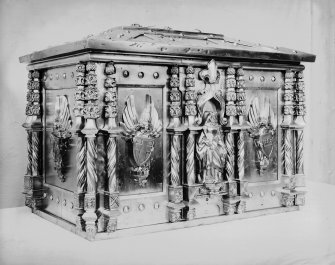 Interior-detail of casket. 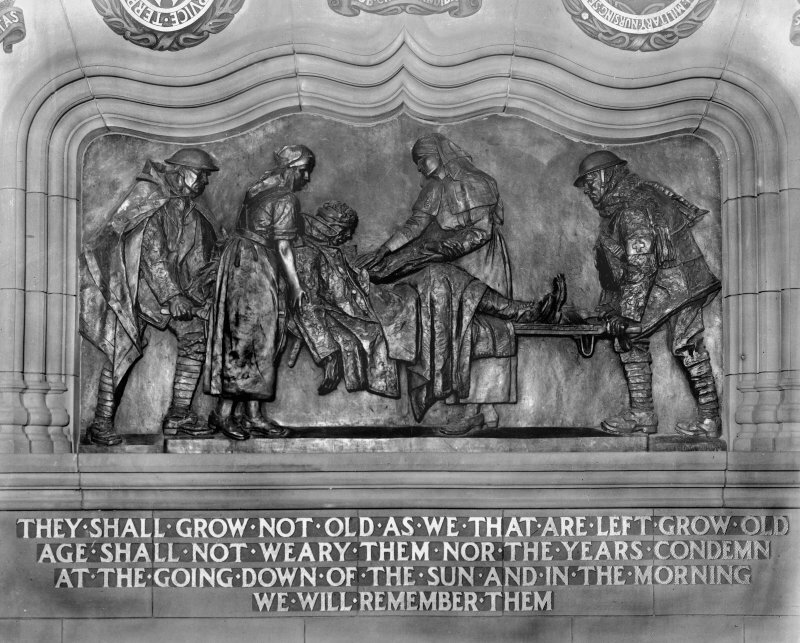 Scottish National War Memorial, Edinburgh. 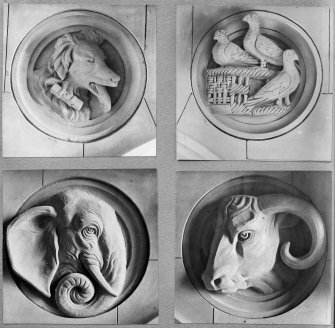 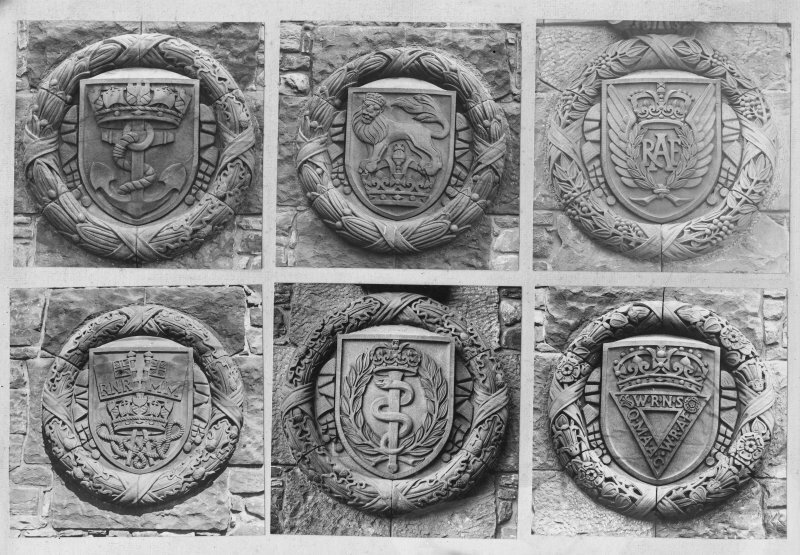 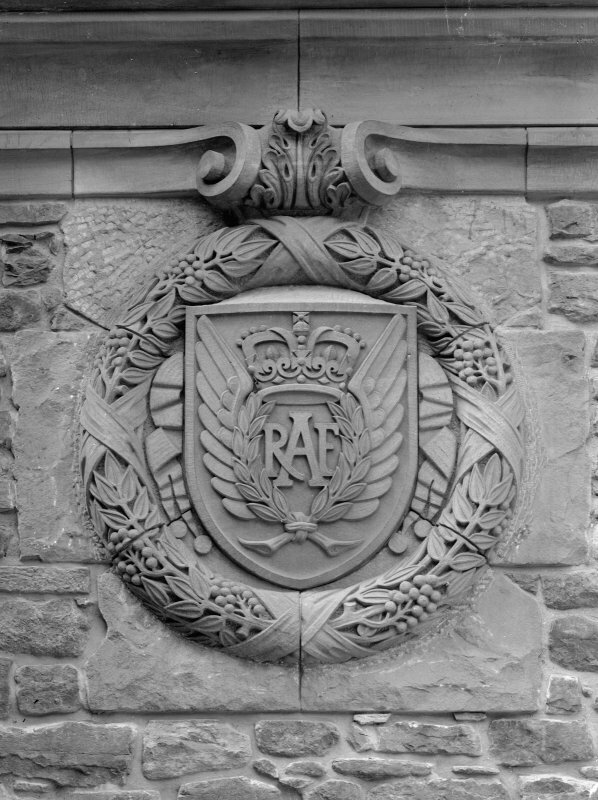 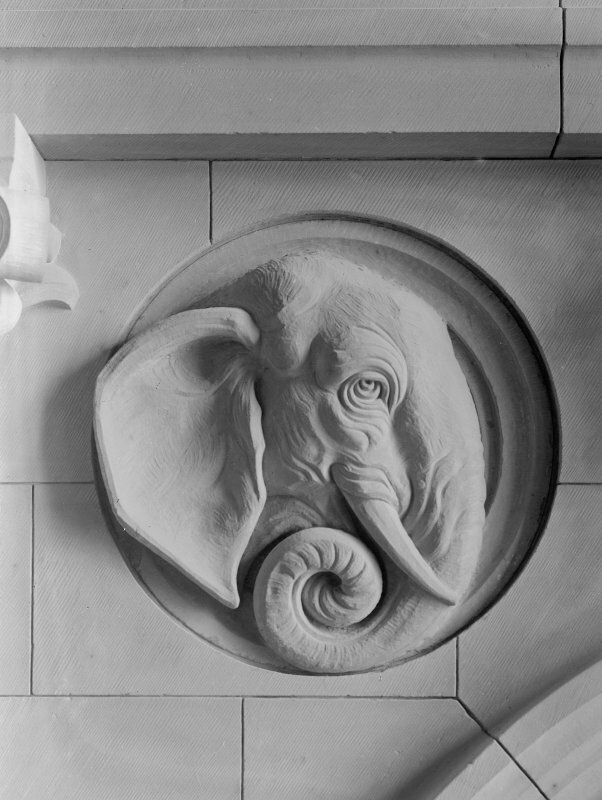 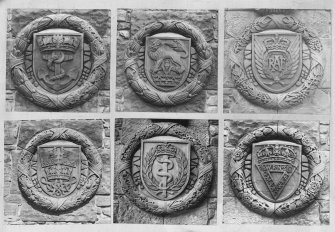 Detail of carved elephant head from "Remember also the Humble Beasts"
Detail of carved goat's head from "Remember also the Humble Beasts"
Composite photograph of the Badges of the services carved on the exterior walls, Scottish National War Memorial, Edinburgh Castle. 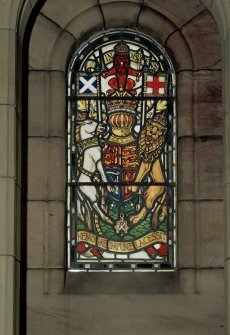 Composite photograph copied on glass of animal carvings, Scottish National War Memorial, Edinburgh. 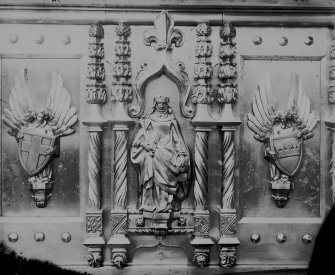 Shrine - figure of St Michael. 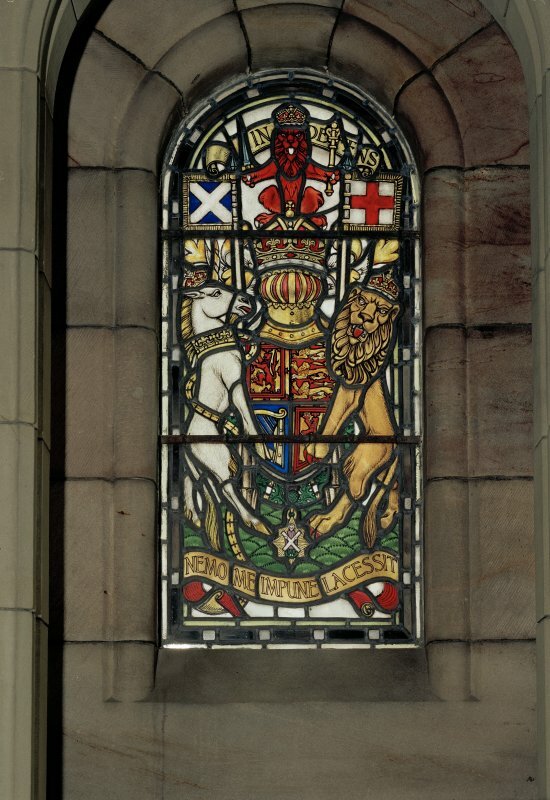 Copy on glass. 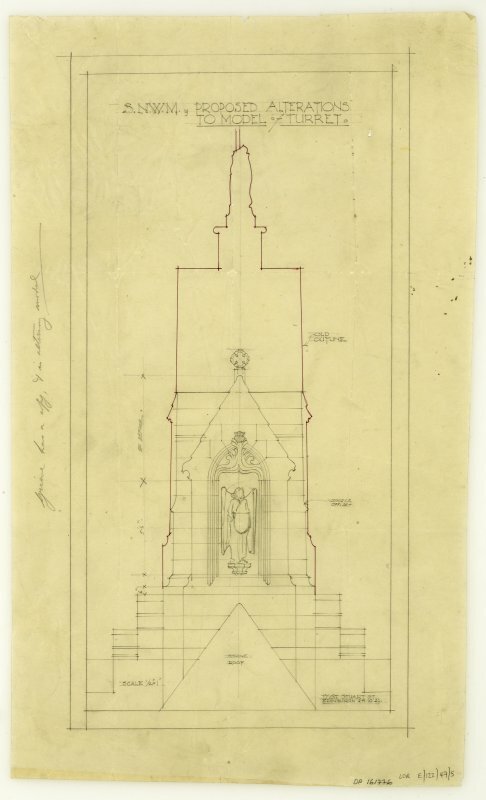 Proposed alterations to model of turret. 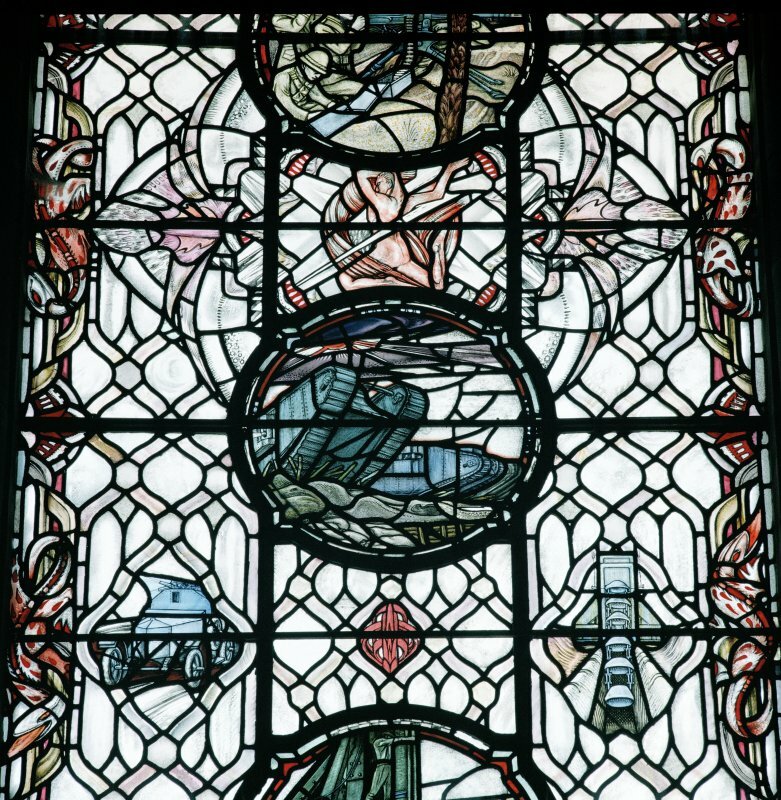 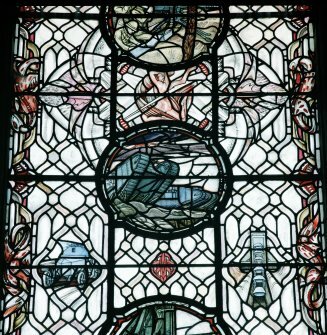 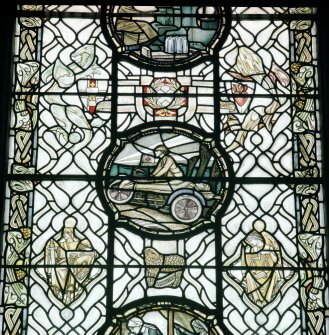 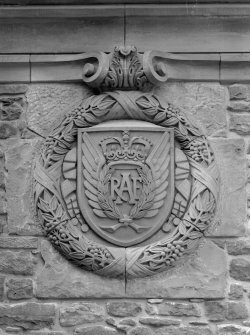 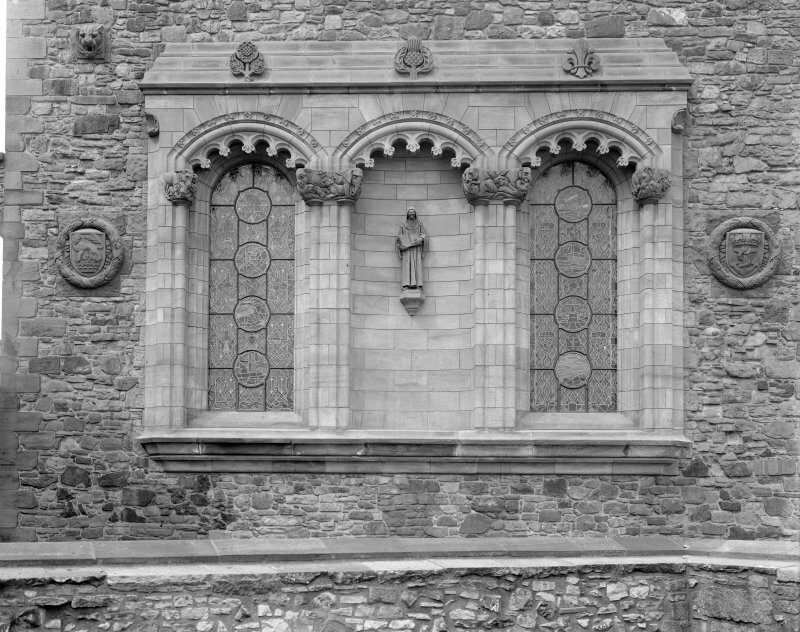 Details of South, East and West windows including alternative design for Air Force window, Scottish National War Memorial. 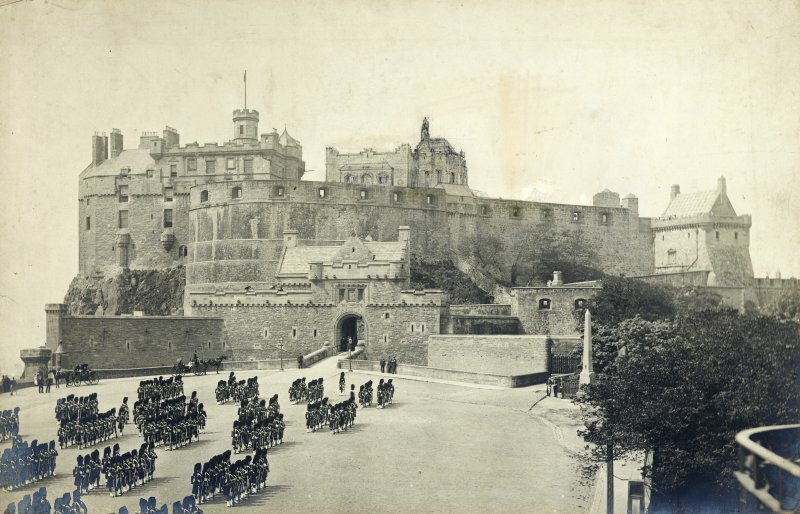 View of the Scottish National War Memorial, Edinburgh Castle, Edinburgh. 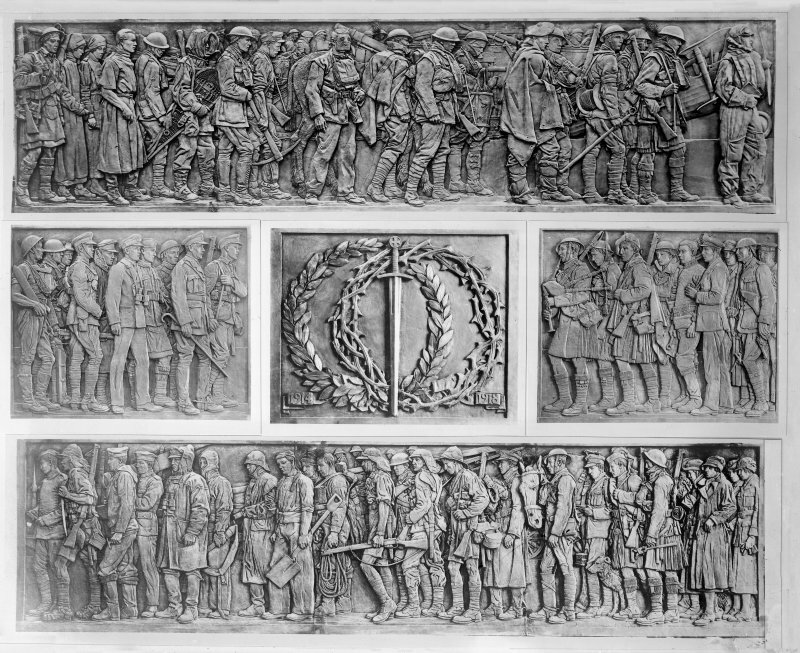 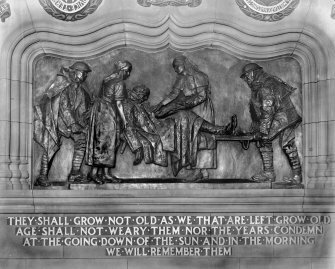 Composite photograph of bronze frieze which encircles the shrine, Scottish National War Memorial, Edinburgh. 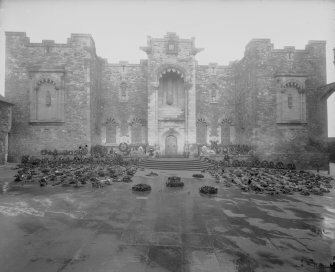 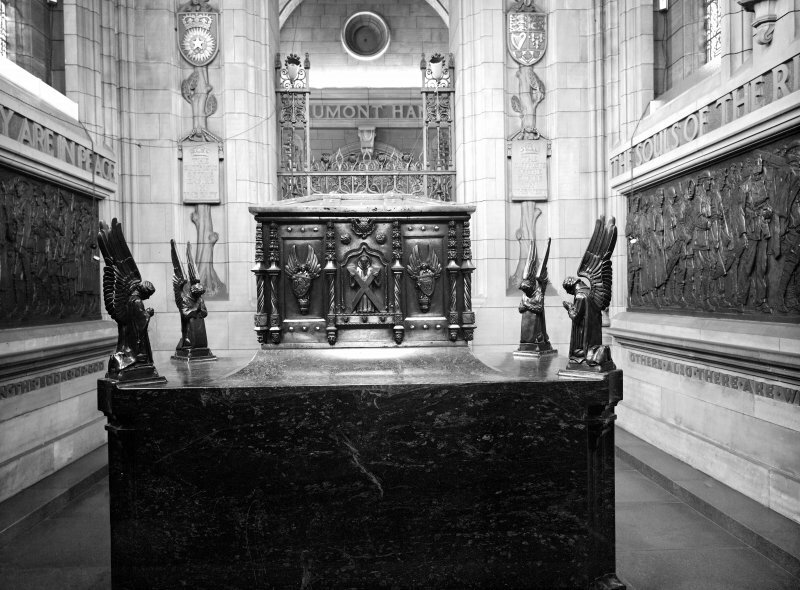 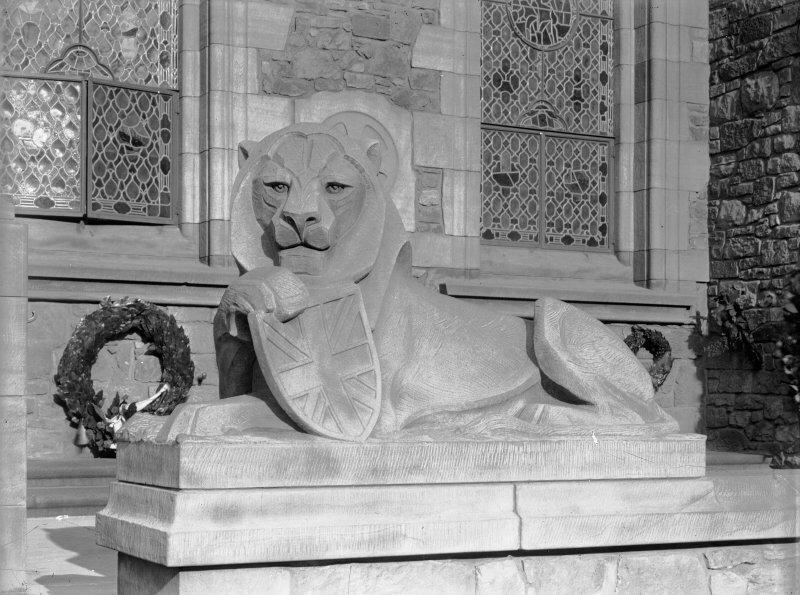 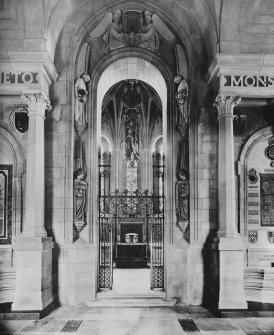 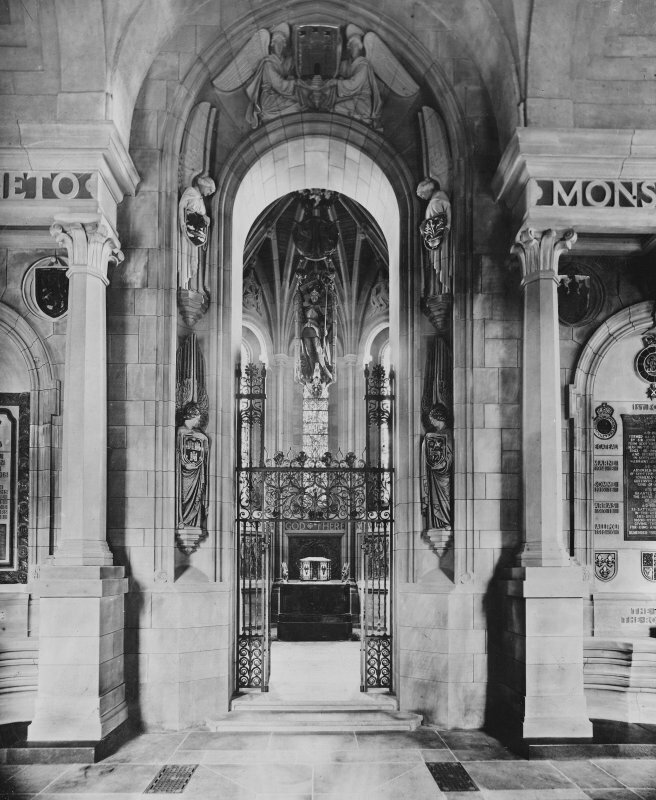 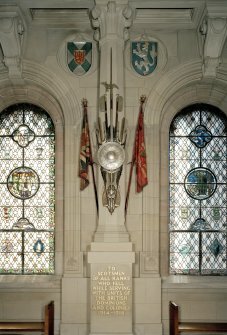 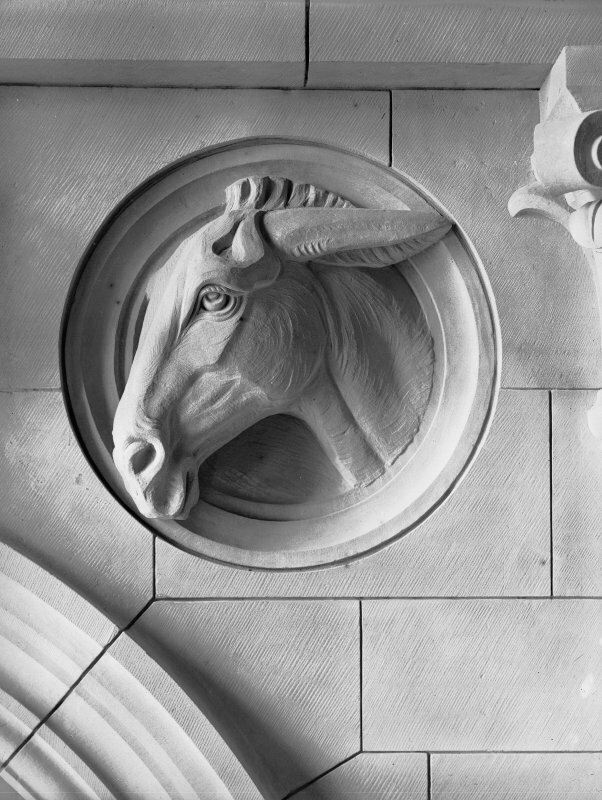 Photograph of the design for memorial to the Scottish Yeomanry by Pilkington Jackson in eastern recess of gallery, Scottish National War Memorial, Edinburgh Castle, Edinburgh. View of 'Saturn' from the planets series of carvings in the roof of the shrine above the windows, Scottish National War Memorial, Edinburgh Castle. 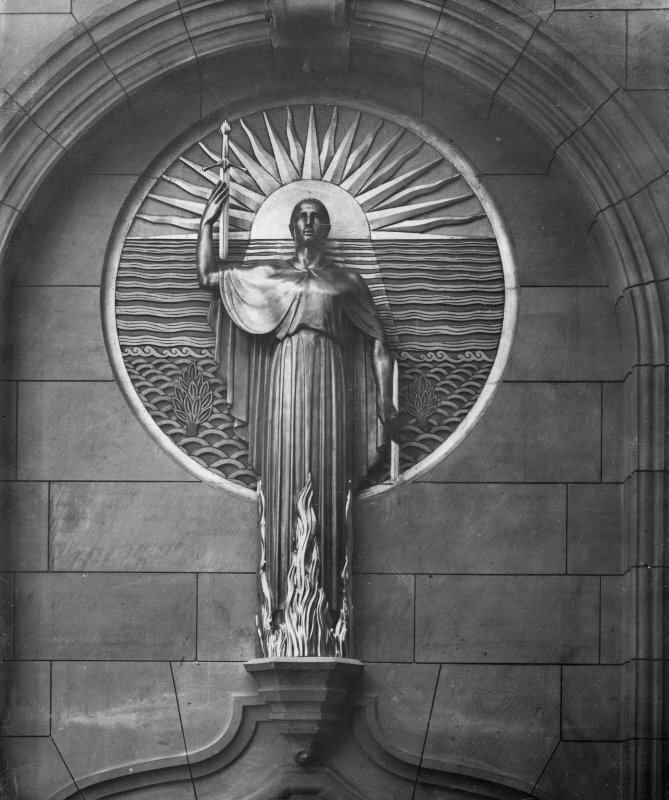 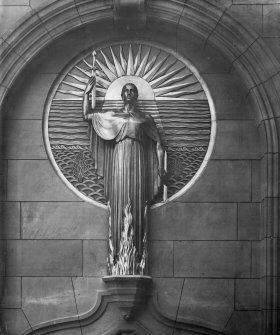 View of 'the sun' from the planets series of carvings in the roof of the shrine above the windows, Scottish National War Memorial, Edinburgh Castle. 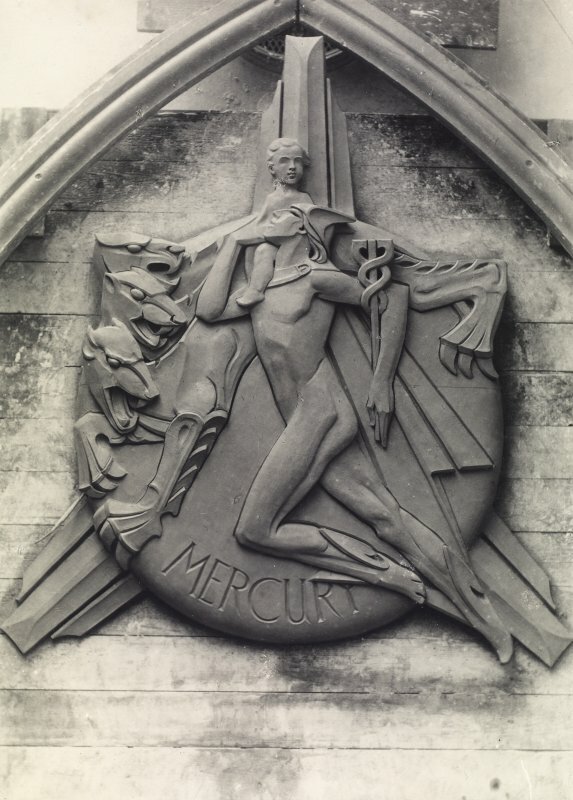 View of 'Mercury' from the planets series of carvings in the roof of the shrine above the windows, Scottish National War Memorial, Edinburgh Castle. 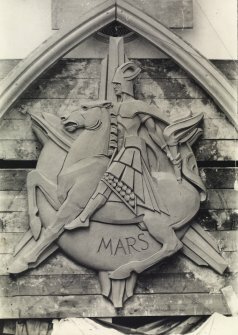 View of 'Mars' from the planets series of carvings in the roof of the shrine above the windows, Scottish National War Memorial, Edinburgh Castle. 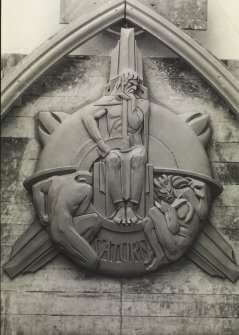 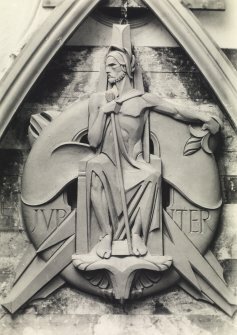 View of 'Jupiter' from the planets series of carvings in the roof of the shrine above the windows, Scottish National War Memorial, Edinburgh Castle. 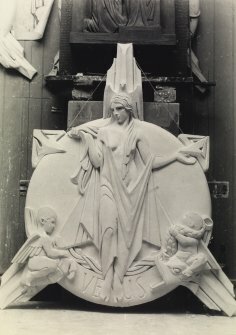 View of 'Venus' from the planets series of carvings in the roof of the shrine above the windows, Scottish National War Memorial, Edinburgh Castle. View of angel on archway to shrine in gallery, Scottish National War Memorial, Edinburgh Castle. 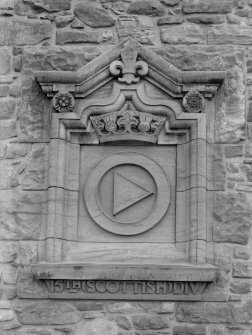 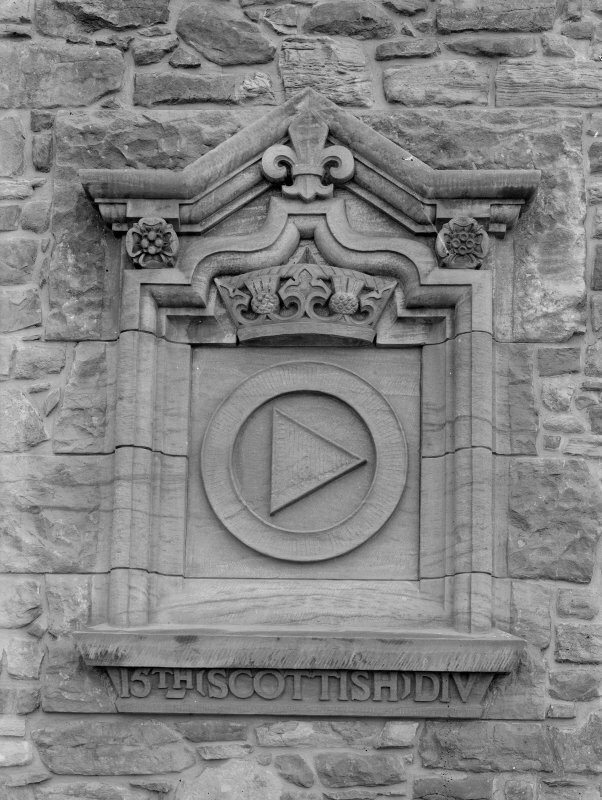 View of scroll commemorating the outposts of the Empire in the East and part of tree on archway from shrine to gallery,Scottish National War Memorial, Edinburgh Castle. 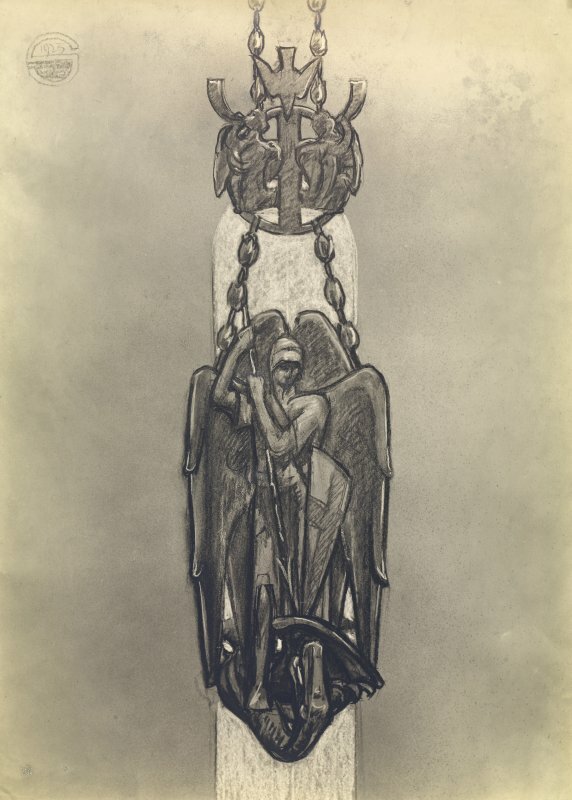 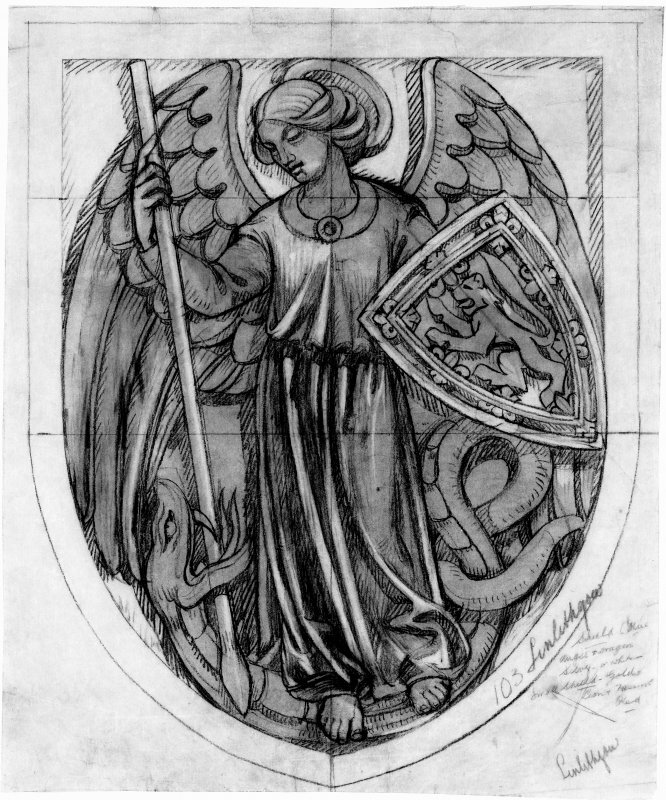 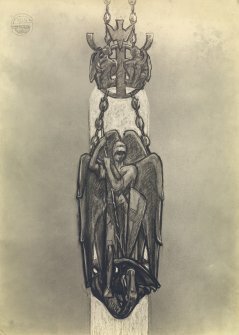 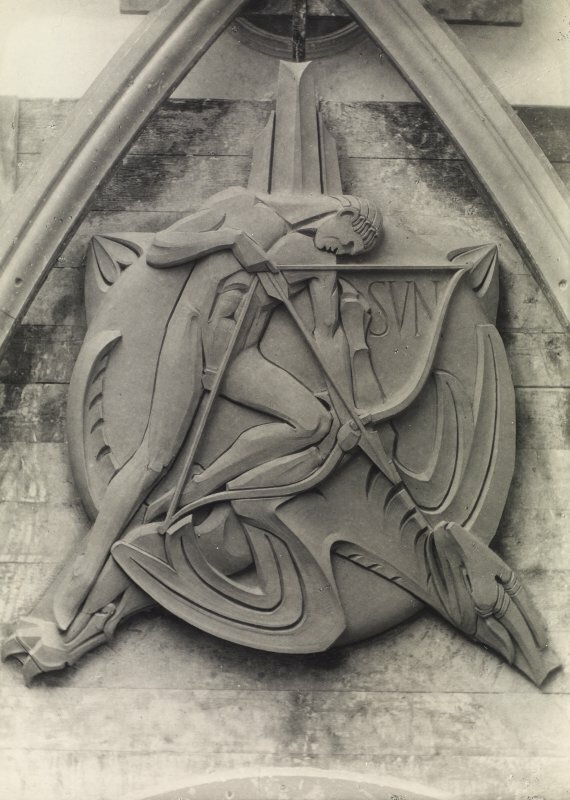 Photographic copy of preliminary drawing for the sculpted figure of St Michael to be suspended from roof of shrine, Scottish National War Memorial, Edinburgh Castle. Photographic montage of Edinburgh Castle showing unexecuted design for the Scottish National War Memorial in situ. 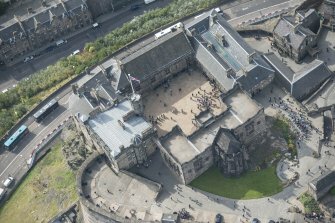 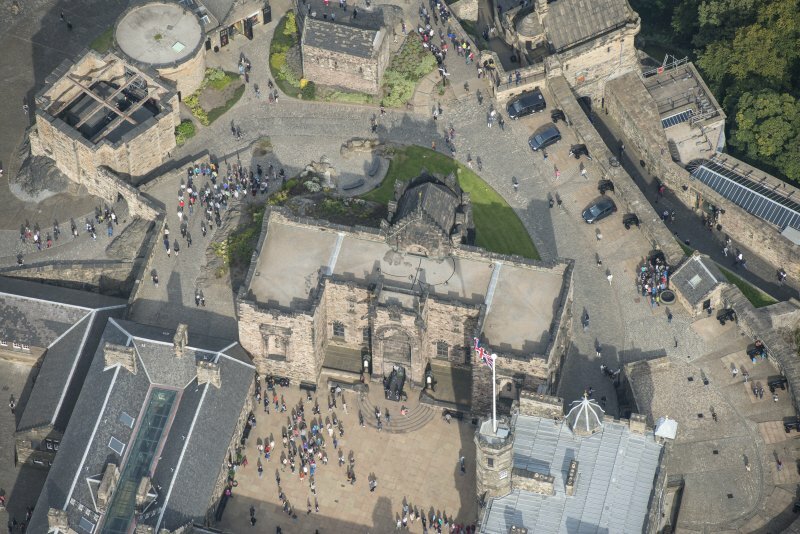 Photographic view of Edinburgh Castle with pencil annotations to show height of royal palace tower and proposed war memorial shrine and turret. 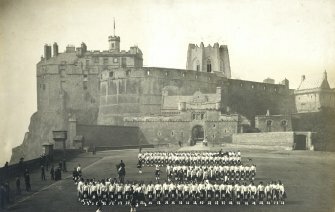 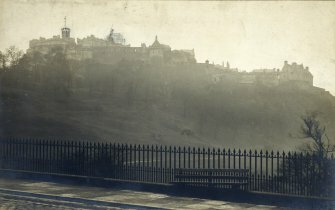 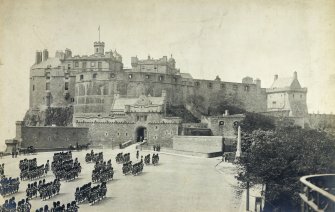 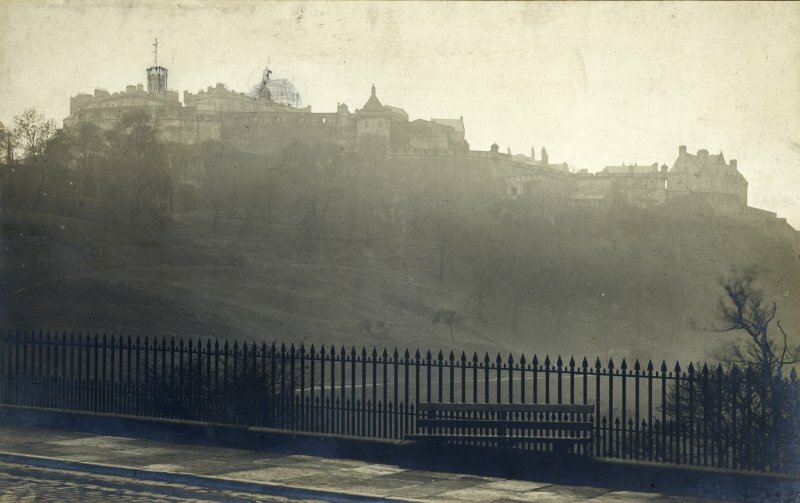 Photographic montage of Edinburgh Castle from the Esplanade showing approved design for war memorial in situ with a reduction in height. 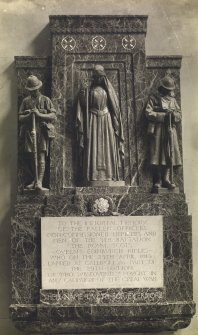 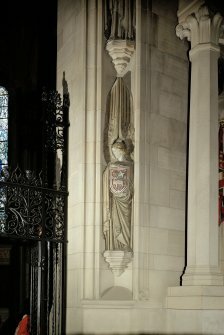 View of stone and marble war memorial to the memory of the 5th batallion of the Royal Scots Queens Edinburgh Rifles, St Giles Cathedral, Edinburgh. 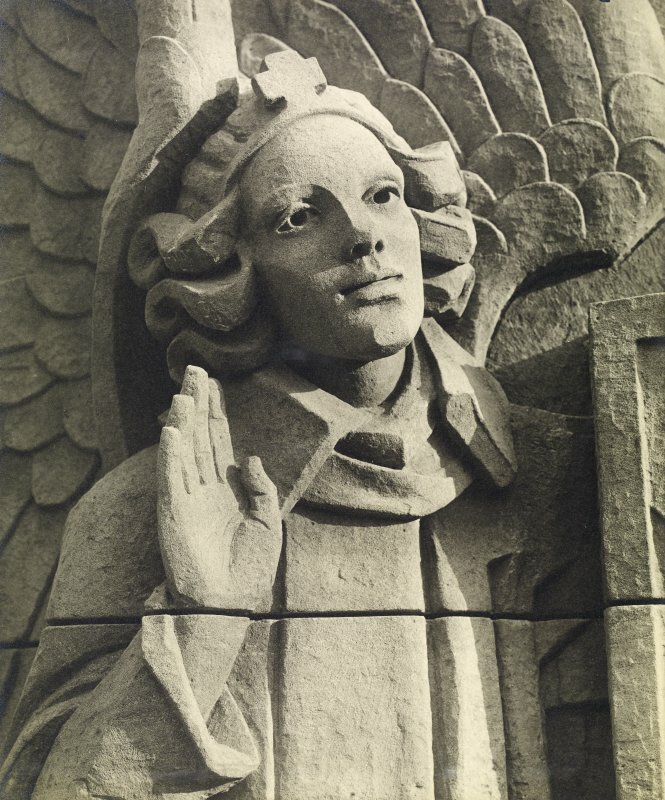 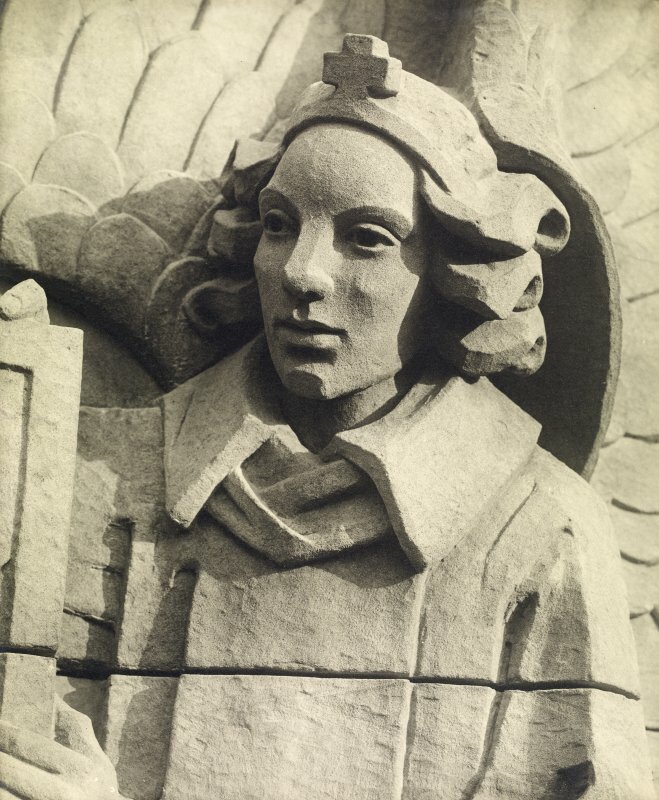 Detail of angel on west buttress of shrine exterior, Scottish National War Memorial, Edinburgh Castle. 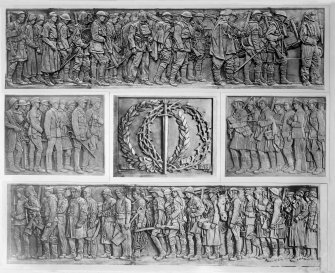 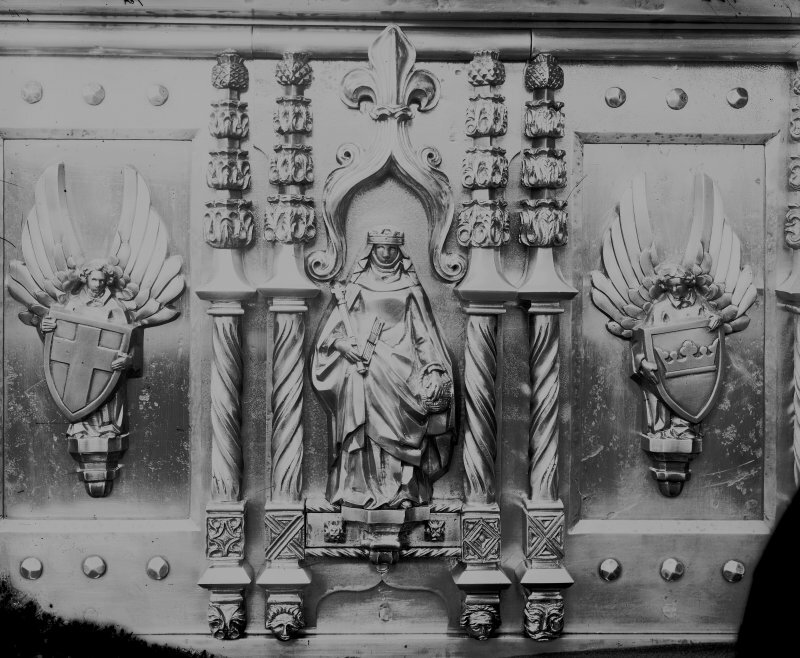 View of part of the bronze shrine frieze for the Scottish National War Memorial in a studio location. 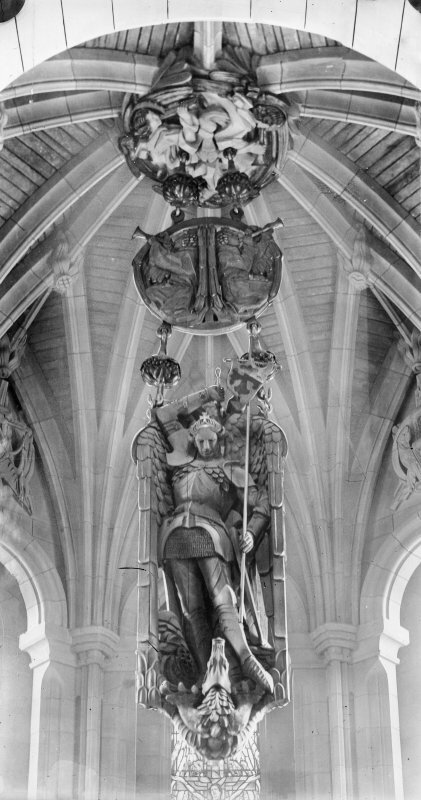 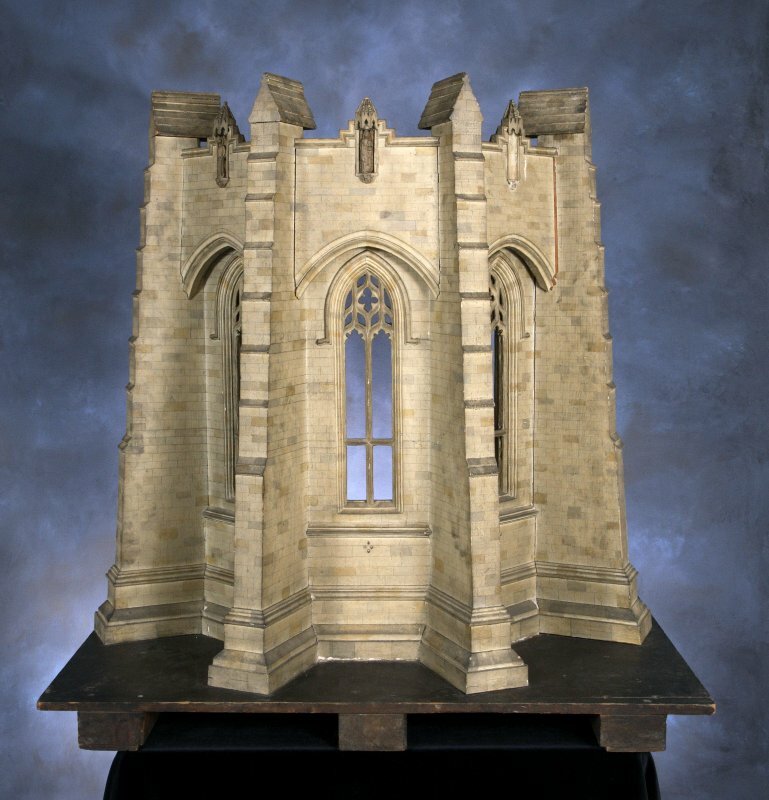 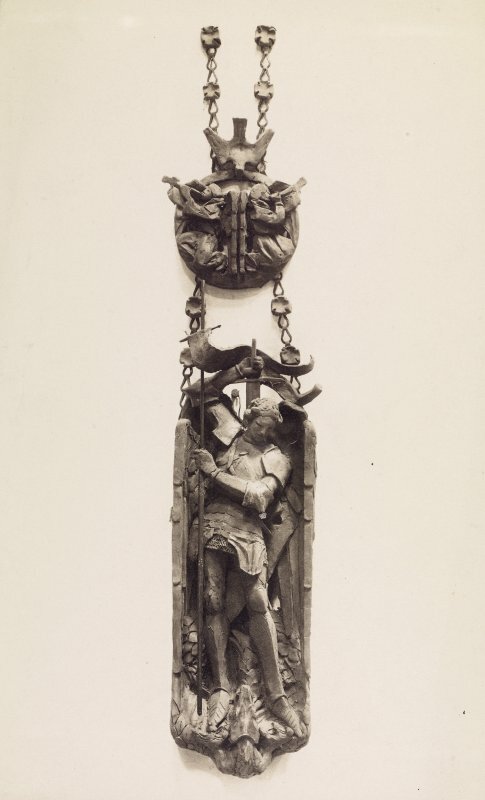 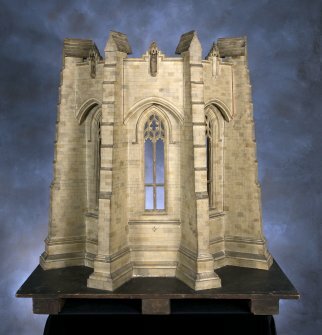 View of preparatory model for the figure of St Michael suspended from roof of shrine, Scottish National War Memorial, Edinburgh Castle.